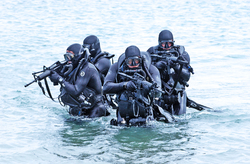 The Navy SEAL Foundation provides a comprehensive set of programs specifically designed to improve health and welfare, build and enhance resiliency, empower and educate, and provide critical support to the Naval Special Warfare (NSW) community during times of illness, injury or loss. We strengthen the force and family and provide a level of security that enables warriors to focus solely on their missions. Created by former SEALs, Eric Frohardt and Sean Haberberger, the Evening of Tribute is Denver’s most anticipated event in Colorado, with its focus on honoring and supporting the SEAL community. To date, the Evening of Tribute has raised over $1.8 million to support the NSW community through the Navy SEAL Foundation. Like the community we serve, the Navy SEAL Foundation is a solid and high performing organization committed to excellence. 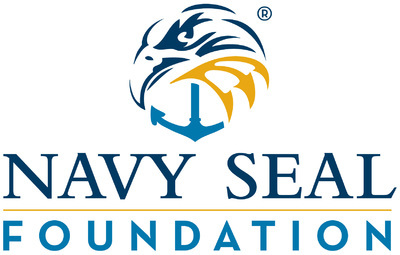 The Navy SEAL Foundation has received our 6th consecutive 4-star rating from Charity Navigator. 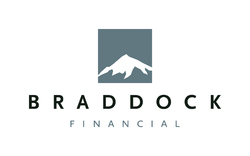 We are one of only 59 charities of more than 8,500 to have earned a perfect score of 100 for our financial health, accountability and transparency, which puts us in the top 0.6% of the rated charities. Ninety-four cents of every dollar donated goes directly to programs or is retained for future mission use. 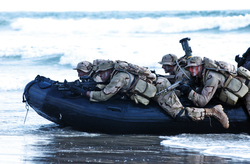 The Navy SEAL Foundation is a 501c3 national non-profit charitable organization. TAX-ID 31-1728910. 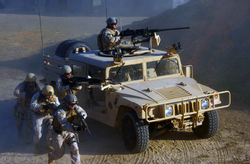 The Navy SEAL Foundation is a non-federal entity. It is not a part of the Department of Defense or any of its components and it has no governmental status. Thomas S. and Mary K.